In our wide range of products, we are also offering our clients a supreme grade variety of Ginger Flakes. 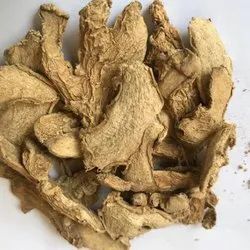 The offered ginger is processed using supreme grade ginger that is sourced from authentic vendors in the market and modular processing techniques as per the set food industry norms. Our offered ginger is used in various food items to add flavour and fragrance. We pack this ginger using safe and airtight packaging options. Our company engaged in processing and exporting of dehydrated ginger powder and ginger flakes to different countries. With the help of our state-of-the-art infrastructure unit, we are able to process, export and supply superlative quality Garlic Powder. The offered product is processed using optimum grade garlic that is sourced from authentic vendors in the market who are commended for their product quality since several years. It is added in number of food items to add flavour and taste. Further, it is checked on different quality parameters before being dealt to our clients assuring its freshness and quality. 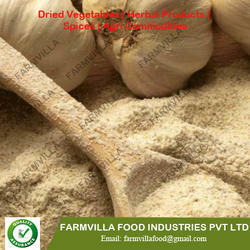 Our company engaged in processing and exporting of dehydrated garlic flakes. garlic granules and garlic powder at worldwide. Backed by our flourishing business processes, we are able to process, export and supply premium grade Dehydrated Potato. The offered product is processed using supreme grade potato that is sourced from certified vendors of the market who are commended for their organic farmlands and product quality since several years. It is used for preparing dishes in quick time period. Our offered product takes less time to prepare. Our company engaged in processing and exporting of dehydrated potato flakes and potato powder to different countries. We produced Red Onion Powder using latest technology based air drying process, Pink Onion Flakes use in different food preparations. Offering superior taste & flavor to the cooked dishes, it finds use in sauces, salads as well as in soups, frozen food, meat preparations as well as other food products. The moisture proof packaging provided also adds to its enhanced shelf life. Our company engaged in processing and exporting of red onion powder and red onion flakes to different countries. 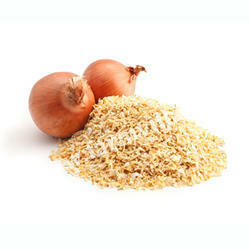 We offer Red Onion Powder, Red Onion Flakes.